PRINCETON, Ill. (WLS) -- Police are searching for a prisoner who they say escaped from a private transport vehicle along I-80 near Princeton. Joshua Drinnon, 35, escaped at the westbound Great Sauk Trail rest area around 4:45 p.m. Wednesday near mile marker 51 on I-80, police said. Drinnon, who police said fled on foot, was last seen entering a field north of the rest area. Great Sauk Trail rest areas near where Drinnon escaped, both eastbound and westbound, are closed. 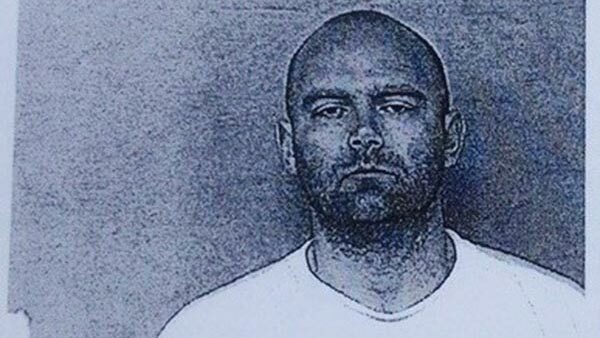 Drinnon is described as a white male with a bald head around 6-foot-1 weighing 200 lbs. He was wearing a white shirt and red wind suit pants at the time. He had been incarcerated for aggravated robbery and was being moved from Tennessee to a different facility. Anyone with information is asked to immediately contact to contact their local police department or Illinois State Police.